There are no Christmas lights, no Black Friday sales, and no Christmas music blasting in the malls. I don’t see images of Santa Claus, the Virgin Mary, or any of Santa’s elves busily making toys for good little children. There are no Christmas tree lots selling the pine-scented trees, some flocked with spray snow, and most without. The shoppers aren’t desperately seeking Christmas gifts that some may, or may not, want for Christmas. There are no Salvation Army Santa Clauses ringing for money outside of stores. But, somehow, the Christmas spirit is here. The westerners are all wishing each other Merry Christmas. We check in with each other to see if our families are doing well and are celebrating the holiday season. We miss the family closeness of Christmas. The many workers from the Philippines at the school smile warmly and wish everyone a Merry Christmas. One teacher surreptitiously drew a Christmas tree, with decorations and gifts underneath, and tacked it on the wall above the printer in the teacher’s room. No one dares take it down. The hypermarkets and supermarkets sell poinsettia plants for those who would like just a touch of Christmas. 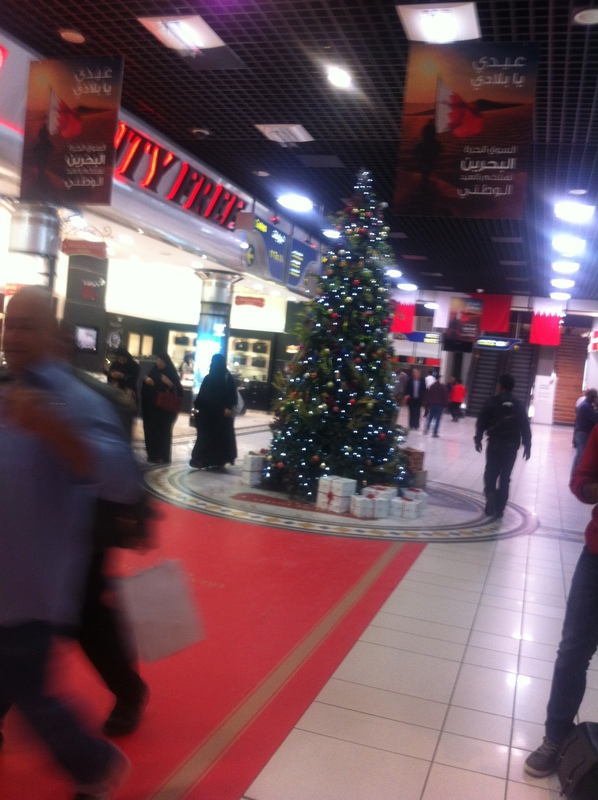 Maybe there is a Christmas in Saudi Arabia. A Christmas of spirit, of hope, and of heartfelt sincerity. Christmas is here. I wish everyone a wonderful and loving Christmas holiday.